Look closely at your last auto repair bill. There's a good chance you've been charged with either a Shop Supply Fee and/or a Disposal Fee. Did you ever ask yourself why? Better yet, did you ever ask the Shop Manager why? If you answered no, don't feel bad, you're not alone. Most people don't. Now look at your last grocery bill. Do you see a Supermarket Supply Fee? Probably not. So what makes the Automotive Industry so special? Why are they charging these fees and do you really need to be throwing your money away? The answer is simple. If you're willing to give up your hard earned cash without question, they're more than happy to take it. So what makes us different? 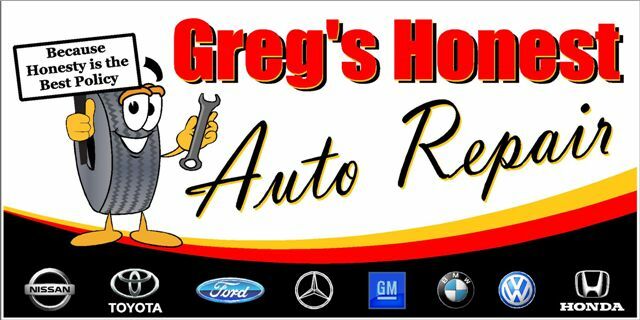 At Greg's Honest Auto Repair, you'll NEVER pay a Shop Supply or Disposal Fee. Every product used during the repair of your vehicle is clearly listed on your repair order and invoiced accordingly. And here's a dirty little secret about Disposal Fees. As a shop owner, I get paid for my used oil and filters, along with used transmission fluid and antifreeze. Yeah, you read that correctly. I'm getting paid to properly dispose of it. So why would I charge you a disposal fee? I won't. Never have and never will.